VATICAN CITY (CNS) — Commemorating the witness of Shahbaz Bhatti, Pope Francis expressed his hope that the Pakistani Catholic’s death will be a source of inspiration and hope for persecuted Christians. Speaking to members of the “Missione Shahbaz Bhatti” association Nov. 30, the pope said the group can help overcome barriers and create “dialogue, understanding and reconciliation” among different people and different faiths. “One of the fruits of the sufferings of Christians is the multiplication of groups and associations — like yours — that build bridges of fraternity throughout the world, overcoming differences in language, culture and sometimes even religion,” he said. 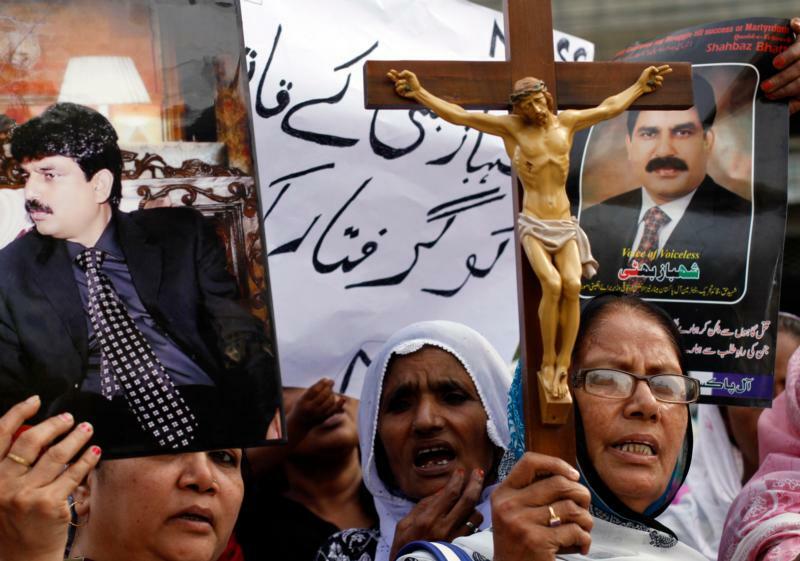 Bhatti, who served as Pakistan’s minority affairs minister, was gunned down in 2011 after he said he would seek the reform of blasphemy laws to stop the laws from being misused to persecute innocent Christians. “May your distinctive sign always be that which shines in the witness of Shahbaz Bhatti and of so many other martyrs of our time, namely the humble and courageous faith in the Lord Jesus and the ability to put love where there is hatred,” the pope said.